Available In: cherry, Maple, Oak, and Pine. Finishes: unfinished, painted, and stained. Finish prices vary. Contact store for details. 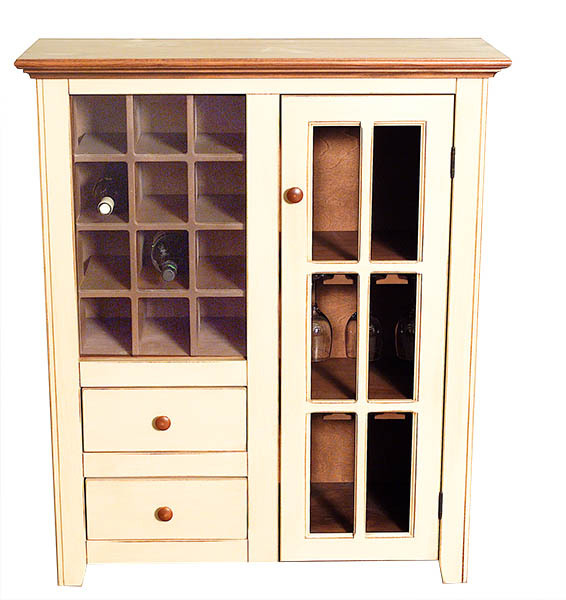 Features: Holds 12 wine bottles, 2 drawers with solid wood face, 1 full height cabinet with mullion glass door, adjustable shelves for storage and stemware, and solid wood knobs.